Website for a company who providing building services in the Greater London area. 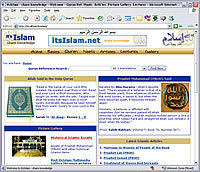 This site is developed using XHTML and ASP. Website for a company who provide tailor-made pest control services in Greater London area to both residential and commercial customers. 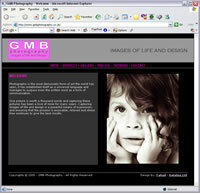 This site is developed using XHTML, CSS and PHP with enquiry forms. Website for a company, based in London, providing maintenance cover plan for digital satellite customers in UK. 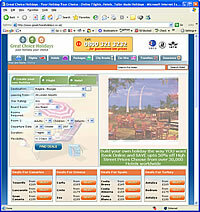 This site is developed using latest HTML and PHP with integration to standard Paypal checkout. 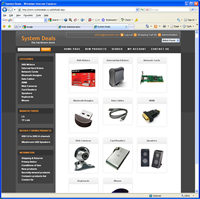 An online shopping store for computer hardware. This site is developed using latest ASP.net 3.5 and SQL Server 2005 technologies, integrated with Paypal and Google Checkout payment systems. 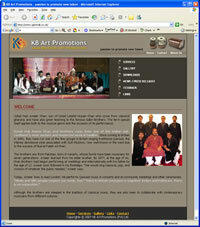 Website for a talented qawwal based in East London, UK. 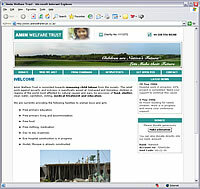 The site is developed using latest ASP.net 2.0 and SQL Server 2000 technologies. Site offers information about the group, new updates, picture gallery and downloadable audio files. Website for Independent Mortgage Advisor based in East London, UK. Developed using latest ASP.net 2.0 and SQL Server 2005 technologies, it provides searching for properties and has an online mortgage calculator. 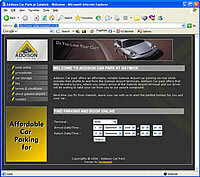 A Gatwick Airport UK based car parking company providing services at afforable prices. Website offer an online booking mechanism and is developed using ASP.net 2.0 with Visual C#, CSS and Flash. Website for a Ladies suit designer, providing specialised tailoring services for ladies. 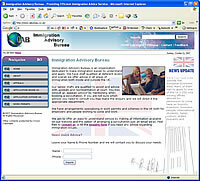 Website for a travel agent in West London dealing in flights to Europe and America. The website is implemented using ASP.NET 2.0, XML, SQL Server 2000 and is hosted on secure dedicated server with SSL security. 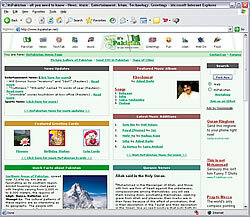 These are developed for BizNas.com Pakistan (Pvt.) Ltd., Faisalabad Centre, Pakistan (View Flash Movie) (high bandwidth required), American University of Hawaii, Punjab Campus, Faisalabad (View Flash Movie) and School of E-Commerce, Faisalabad, Pakistan (View Flash Movie). These presentations are developed using Macromedia Flash 5, Flash MX and different graphics utilities. Mirza A. Sons (Pvt.) Ltd.
For Shaher International (Pvt.) 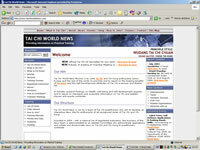 Ltd., this application was developed using Microsoft Access as database. 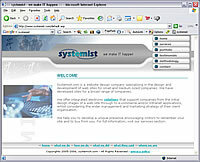 The aim of this application was to computerize the overall working of the organization by providing a simple application. 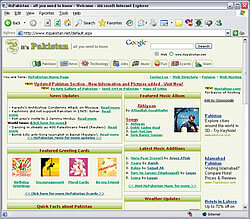 For BizNas.com Pakistan (Pvt.) 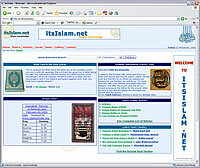 Ltd., Faisalabad Centre, Pakistan, this application is developed using Visual Basic 6, ASP as front end and Microsoft SQL 2000 as database storage. The aim of this application is to provide the facility of storing daily sales records and report generation for specific period of time.